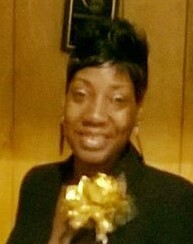 LaShawnda Vernita Ruffin was born on January 31, 1984 to the late Belove and Irmatine Ruffin-Nicholson. Confessing Christ at an early age, she joined Wahalak Missionary Baptist Church and she later moved her membership to Gilfield Missionary Baptist Church where she was an active member until her health began to fail. LaShawnda graduated from Choctaw County High School in 2002, and afterwards held various jobs including being a certified nursing assistant where she loved caring for others. LaShawnda was preceded in death by her parents, brother Dequain Ruffin, maternal grandmother Margaret Nell Ruffin, aunt Eunice Williams; uncles Leon Ruffin and Charles Nicholson. Shawnda leaves to cherish her memories two beautiful children: Rokeiveon Ruffin and Shakayla Ruffin (KK) both of Lisman, AL; a loving and devoted sister: Lakeisha (William) Lofton of Pennington, AL; two who were known as sisters: Sharon Blanks of Meridian, MS and Sherita Johnson of Lisman, AL; grandmother, Katie Bell Nicholson of Lisman, AL; one special nephew, Gregory Bryant Jr.; a devoted cousin who was there until the end, Krystal (Lester) Lee of Meridian, MS; a friend/neighbor who she loved as a sister, Laquita Thompson; aunts who loved her dearly, Katrina (Gregory) Capers of Mobile, AL. Seretha Hayes, Fay (Thomas) White, Edith Larkin, Francis O’field, Laurine Nicholson, Mamie (Brad) Webb, Espanola (Michael ) Rowe and Katie M. Nicholson; uncles: Johnny (Tiffany) Ruffin, Joel (Macie) Nicholson, and Gerald Nicholson; a host of great-uncles, other relatives and friends who will miss her dearly. Hayden & Butler Funeral Home, Inc.